The #1 reason kids play sports is to have fun. 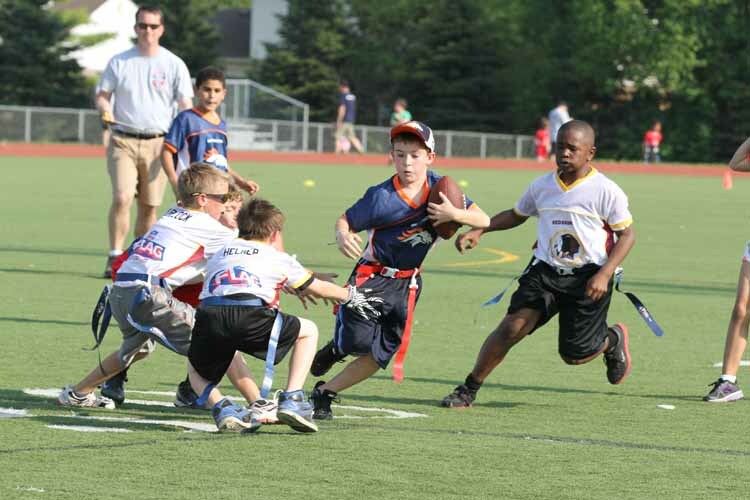 National Flag Football emphasizes fun and building friendships. Everyone should get to play and have fun regardless of ability level, so there are no try-outs and no one will ever be made to feel like they aren't good enough to play. Instead of the high-pressure, “win-at-all-costs” mentality prevalent in youth sports today, we focus on fun with a low-pressure, supportive atmosphere. Every child is a winner, no matter the outcome of the game. Our comprehensive coaches training ensures each child learns the fundamentals of football in a safe and fun atmosphere. No one joins the team to sit on the bench, so an Equal Playing Time Policy is instituted: kids of all sizes, athletic abilities, and experience get to participate equally in the action. You don’t have to be the biggest, fastest or most athletic player to play on a National Flag Football team. Team sizes are kept small to maximize playing time and involvement. As the #1 NFL Flag League, players wear authentic NFL Team Jerseys, making the experience even more fun for everyone. And every player receives an end of season trophy or medal to commemorate their experience. kids from the same school are teamed-up so even more friendships can be developed. 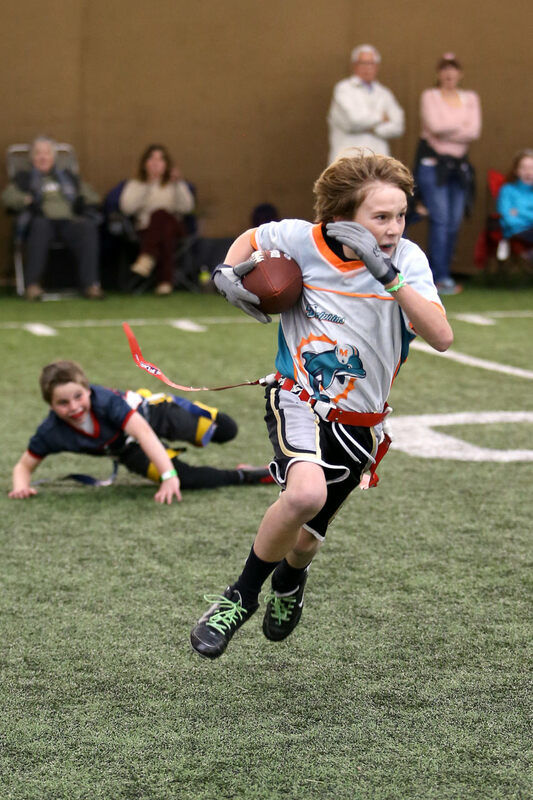 With over 40 locations throughout the country National Flag Football strives to be the best flag football program possible with the emphasis on skill development, participation, fun and teamwork. Football is all we do and customer service is #1. We are committed to providing an exceptional experience that will have parents raving and players returning season after season to take part in the fun.